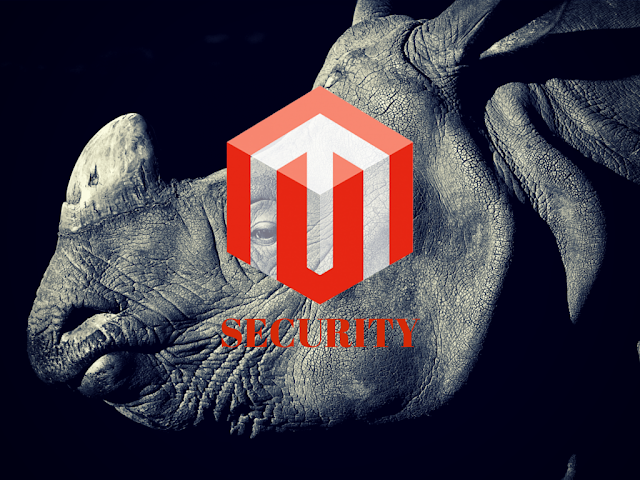 Worried about Magento security for your ecommerce website? Magento security extensions can help you to host a secure ecommerce server easily. Extensions can conveniently enhance magento security features. It is important to have Magento security extension for your computer since it is an IP security that restricts the access to certain websites by IP masks or address. Once the restriction is triggered the viewer of the page gets redirected to the CMS page that is specified in the settings or a blank page. We dozens of hacking software on internet any website is not secure. Making sure a ecommerce store is secure is utmost important for website owners. This article describes 14 such addons that offer Magento security extension and also description about the same. This article will work as a one-stop-shop to know about the extension and make decision of getting the one that suits your need. You may also want to checkout magento tutorials. This is a security plugin that ensures the security of typical web attacks as well as address the security issues that are Magento specific. This is a free security plugin available online and it enables to create an extra security layer around the Magento commerce system. This Magento extension helps in preventing spams on contact form and product review by using Akismet web services. This service checks if it is a spam or not. If the message is not a spam it offers the capability to moderate the message by the user at the Magento backend. This is a free extension that allows restricting the chosen websites by IP or IP masks. During the triggering action of the restrict rule the page viewer will get redirected to the CMS page or a blank page. It sends an email notification about the triggered rules. The Captcha Plus is built by Magento for Create User, Login, Forgot Password, Checkout Guest and Register during the checkout process. It is possible that spam can come from the Product Review and Contact Us forms as well. The Captcha Plus extention enables adding a Captcha to both the forms. This extension is useful in order to add a Captcha to the default Magento contact us form. This extension is useful in preventing spams. It is a very useful extension that helps in preventing spams in the forms and website offers useful tips and installation guide. This is a very useful extension that hides or restricts the areas of the websites from various groups of customer like retailers, wholesalers, registered, logged-in etc. This extension has the capability to hide a web page, static block and product category. It allows website to redirected to other external or internal web pages. This is a switcher extention that redirects the website visitors to a pre-determined store groups automatically. The pre-determined store groups are to be defined by the admin during the setup. This extention also enables to create a store view targeting the Asian viewers means it serves the Asian content. This extention allows the users to secure the website against the unwanted traffic from any locations. It monitors real-time traffic and restricts or blocks any IP address instantly. It also blocks the IP modules using Magento Catalog. It allows selected product attributes like price, SKU etc. This IP security has the capability to restrict the access to the websites by IP address and masks. This security also redirects viewers to CMS page or a blank page. It sends email notifications while triggering the restriction rules. This also offers opportunity to switch off website for maintenance. This is a very useful extension and it protects the store from threats like key loggers, unprotected Wi-Fi connections, connection sniffing etc. This is basically a threat protecting extention and protects the store from the various threats that uses Google authenticator and the smart phones to authenticate the admin session. Do you want to protect your Magento backend from unauthorized logins and fraudsters? If you wish so then this extension is the best choice. This is a two-factor authentication Magento security extension that offers an extra layer of security to your IP address, mask and TCP. This extension is the best possible option to save your stored data from hacker attack and unauthorized logins. This is a two-factor authentication system that is one of the best suited Magento security for all your stored data. The Magento security is based on Google Authenticator application. This extension has loads of Magento security features that are flexible and scalable support growth. It contains powerful tools meant for marketing and is SEO optimized. It has a global partner network and the certified developers are always available to help you implementing the solution. Now that you have quite a few options for securing Magento, the choice is yours as per your requirement. It depends on how you want the Magento security to work for you and the security level required for your IP address.